I had dreamed of visiting Bryher ever since childhood. Michael Morpurgo’s book, ‘Why the Whales Came’ was set here and the mystery of this distant island, part of the Scilly archipelago, had long exerted a pull. Lying 28 miles off the coast of Cornwall, at the south west extremity of England, the fastest way to reach the Scilly Isles is by helicopter or aeroplane, but to truly appreciate just how isolated these islands are, go by boat. Departing from Penzance harbour, the passenger ferry – The Scillonian III – makes the three hour journey across the Atlantic to the main island of St Mary’s, every day except Sundays. Whilst day-trips are possible, to continue on from St Mary’s to Bryher, you really need a full weekend. One of just five inhabited islands in the Scilly archipelago, Bryher is far more rugged than its nearest neighbour, Tresco; less populated than St Martin’s island, to the east; smaller than St Agnes, to the south; and a fifteen minute boat ride from St Mary’s, which is where most adventures on the Scilly Isles begin. After the Scillonian docked in St Mary’s Harbour and my bags were whisked away by the island’s 4×4 shuttle service, I spent my first night in the Scilly Isles at St Mary’s Hall Hotel –an impressive period townhouse in the Scilly Isles’ ‘capital city’ (largest cluster of shops and pubs) of Hugh Town. Home to the archipelago’s bank, main supermarket and chief transport hub, Hugh Town seemed like a good place to stock up on supplies before I headed to Bryher. Loaded up with food and wine, I hopped on a boat to Bryher the following morning – just a short ride across the water. Life is simple on the Scillies and nowhere more so than Bryher. With no real roads to speak of, just one pub, one hotel, one café and a single grocery shop on the island, it didn’t take long to get to grips with the Bryher way of life. An island of two truly distinct halves, on Bryher’s exposed western coast, Atlantic rollers thunder into Hell Bay, bursting on the rocks like bags of sherbet; whilst the glassy waters on its sheltered eastern side are unbelievably calm, protected from the open sea by St Mary’s and Tresco. It’s this untamed beauty that is the draw card for Bryher’s devoted visitors, who return here year on year; and there’s nowhere better to experience the dual identities of the island, than on Bryher Campsite, which is where I stayed. 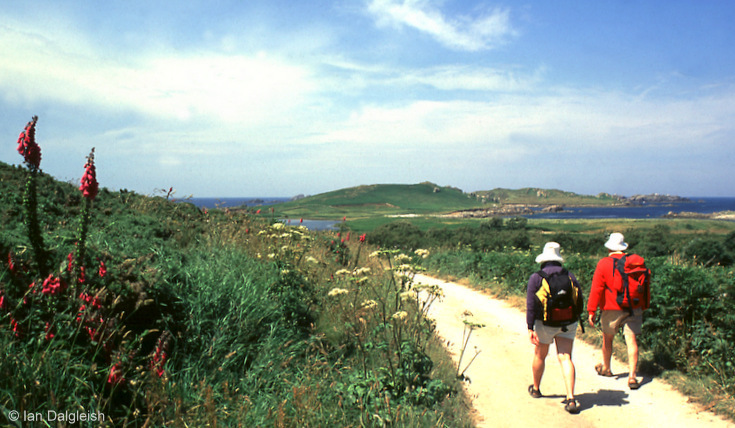 Tucked into a sheltered fold behind Shipman Head – Bryher’s northern headland – the glassy waters of Green Bay lie a few minutes’ walk to the east, whilst the dramatic western coast is a short stroll to the west. The smallest inhabited Scilly Isle, Bryher can be circumnavigated in a couple of hours – a tour which takes you along its sandy pathways, through its bracken-filled fields, past its collection of art galleries and rewards you with stunning views of the archipelago from each of the island’s seven hills. As it turned out, there had been no need to buy camping supplies in Hugh Town: Bryher’s grocery shop is well-stocked by an islander with excellent taste, and you can buy everything here from fresh mussels and local yoghurt, to cereals and hot sausage rolls. What’s more, island-wide ‘trust boxes’ and back-garden shops keep you in locally grown vegetables, herbs and fresh eggs – you can even put in an order for lobster and oven-baked pizzas. For eating out, choose from the classy bistro at Hell Bay Hotel, the casual restaurant at the Vine Tree café, or the fresh seafood at Fraggle Rock Pub. Whatever your preference, you won’t go hungry on Bryher. Unless you sailed to the islands under your own steam – and many do – Bryher Boats are your gateway to getting on, off and around the archipelago. For a few quid each way, this family-run boat service ferries tourists and locals between the islands. No need to book ahead, simply check the daily departures, then turn up at the quay and pay on-board. This laid-back approach means that you can take each day as it comes – staying longer than you’d planned to explore the botanical gardens on Tresco; dashing back on an earlier boat when rain-clouds threaten; or making a last minute decision to take a picnic lunch over to Bryher’s uninhabited neighbour, Samson. But my favourite trips of all were those offered by The Cyclone and The Hurricane. Bryher Boat’s 12 person ‘jet boats’ take small groups of tourists on speciality sightseeing trips and evening outings, as well as offering high-speed tours of the archipelago. 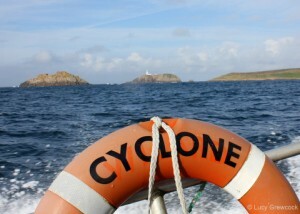 One evening, I took a seat for the 6pm trip to St Martin’s and enjoyed freshly caught haddock and hand-cut chips at the island’s famous fish and chip shop, before speeding back to Bryher on The Cyclone, under a blanket of stars. St Mary’s in itself is a world away from the face-paced life of mainland England, but Bryher goes even further, forcing you to reset, relax and re-assess – if I hadn’t already booked the boat back, I could have happily stayed all summer. Visit Isles of Scilly Travel for information on boat, plane and helicopter travel. 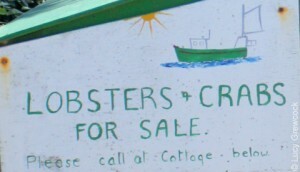 Contact Bryher Boats for travel between the islands. Bryher: Bryher Campsite charges £10pp/pn with free use of hot showers.